Our company was started by family, remains rooted in family, and focuses on making all customers family. We’ve never wavered from the path we set out on over 20 years ago. The simple idea, yet one that required consistently great efforts to bring to life, was to create a culture of sincere collaboration between Aspen and our clients. It was never about just building beautiful homes that make a statement – to us that was a given, as we’ve always possessed talented individuals to make that happen. It was about creating relationships that last after the last nail is hammered. That’s because we play a role in building a community. While we’ve garnered awards and recognition of which we’re proud – what gives us the greatest pleasure is knowing that people trust we’ll always do the right thing. Aspen Homes has a reputation of listening to our clients and sub-contractors, stressing the importance of team effort. When we work together maintaining the highest level of reliability and integrity, then that team turns into a family. Our home designers, interior designers and project managers are all cut from the same cloth: we keep an open dialogue, deliver what we say we will deliver, and place the highest priority on honesty. And the result is always the same – superior quality homes that seamlessly embody the spirit of the Great Northwest. Todd Stam and his wife Zetta have resided in the Coeur d’Alene area for close to 30 years. Todd has worked in the construction business since he was just 10 years old! Todd has worked in all aspects of the construction business throughout his career from concrete foundations to excavating and roofing – he has done it all. 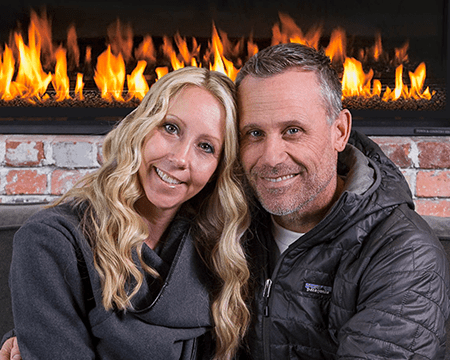 Todd and Zetta started Aspen Homes in the early 90s with a vision to build dream homes for clients with the highest quality end product and exceptional customer service. That dream has been a reality for over 20 years as they’ve watched their family grow alongside their thriving business to now include five children. Todd and Zetta are currently members in the North Idaho Building Contractor’s Association, an Idaho Registered Master Builder, and are well known for their showcase homes in the annual Parade of Homes. How much can we expect to pay per square foot for our Aspen Home? Prices vary depending on multiple factors. Your home site, finish package, floor plan, upgrades and customization will all dictate the price. Is Aspen Homes able to build on a lot I currently own? Of course! We love working with clients on their personal properties. Half of our homes are built on clients lots. Why should I choose Aspen Homes out of the many builders in our area? Building a new home is one of the biggest investments you will make. Aspen Homes has been building in the area for over 20 years. We work and live here, and believe reputation matters. Our promise is to give you the best value, exceptional craftsmanship, and uncompromised service. Our clients and contractors will tell you that we treat you like family. Are we able to modify your pre-existing floor plans? Absolutely! Our specialty is designing custom homes. We love creating solutions fit to your specific needs and have a dedicated in-house design team that can make any dream a reality. Build times vary on location and size of the home. Our typical custom home ranges from 5-7 months for around 3,000 square feet. Can you tell me more about the types of finishes you use? As a custom home builder, we allow you to pick the finishes. We have an in-house interior designer who helps guide you through the process of choosing colors, cabinets, countertops and finishes to make your home uniquely yours. What is included in the price of our home? Your home is typically priced to include everything from site clearing to handing over keys. To learn more about your specific home build dreams, just drop us a line. The answer is – anywhere! We have relationships with multiple developers in the area and can work with them to put together lot home packages, or we can build on a site that you own or are purchasing. We’ve built projects throughout Kootenai County and Eastern Washington. Are any model homes available to tour? Yes – give us a call to setup a tour today. Do you have any homes that are available to move in to now? Yes, please visit our Move-In Ready Homes page to view our current listings. Are we allowed to do any of the work ourselves? Based on our buying power, we’re able to offer you custom home solutions at competitive savings. We think you’ll be more than happy with the quality of workmanship we provide, but are always willing to talk through ideas. I’m ready to start my new home, now what? Great! We can’t wait to build a property you’ll love coming home to. Give us a call and let’s schedule a meeting to get started!